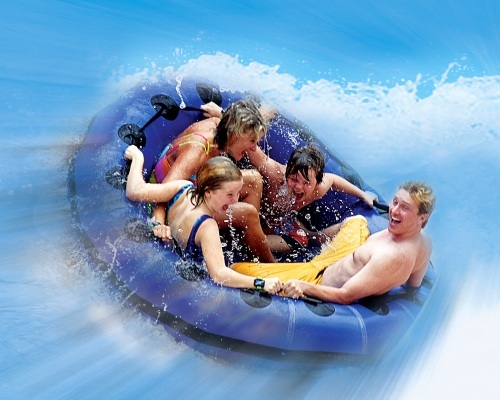 One of the best ever-popular attractions in Branson is the exciting White Water park. 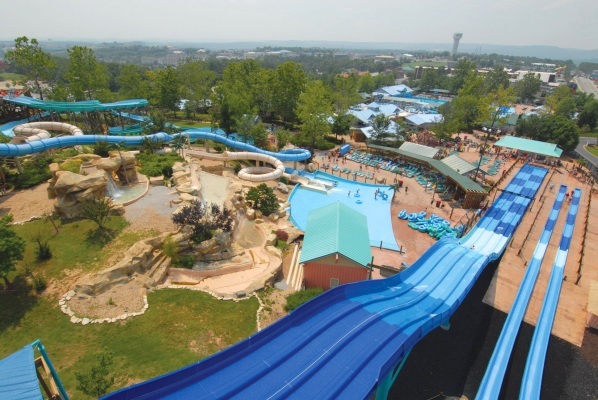 Branson’s White Water is loaded with water-logged laughter at every turn! 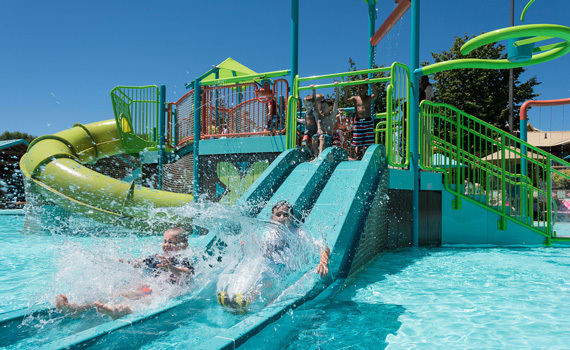 Rides, slides, and landlubbers’ high tides can be found in a variety of exotic, island-themed areas in this 13-acre, 2 million gallons of water, wet wonderland. White Water brings all the excitement, color, and even a bit of sand - for a little beach volleyball - of the ocean to the Midwest! 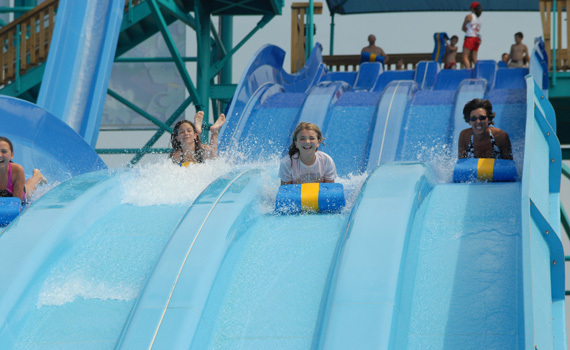 Your smaller water fun seekers, even your toddlers, will enjoy Coconut Grove, and family fun is waiting to be had at Splashaway Cay. 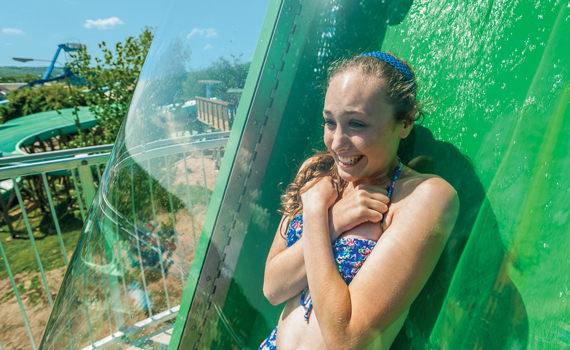 The ultimate thrills await you at KaPau Plummet, Kalani Towers, Pipeline Plunge, and Raging River Rapids where daring drops and breathtaking speed are simply irresistible. If exciting, but not quite as daring, is more your style, Ohana Falls is perfect for your whole gang. 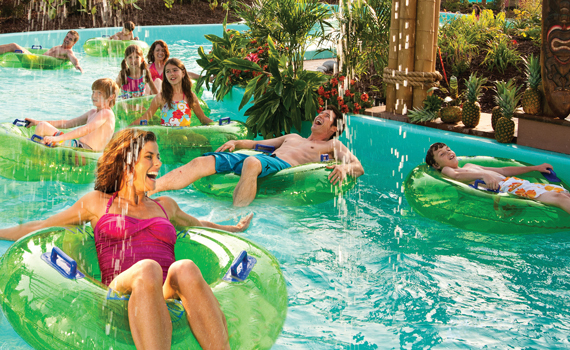 Maybe a mixture of relaxing and surprising is right up your alley, Aloha River at Hula Hula Bay carries you through an island paradise, and gives you twists, turns, and water sprays along the way. 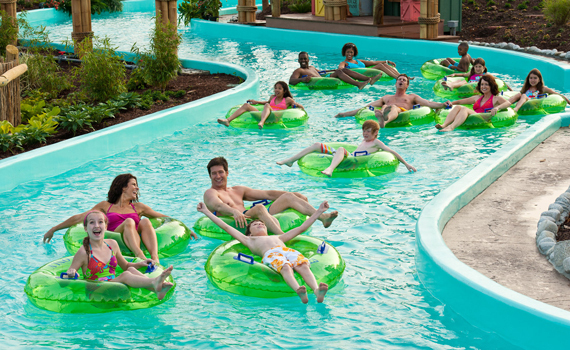 Nobody can resist waves, and the enormous Surf’s Up Wave Pool delivers 4 feet of fantastic tube and body surfing. Spend some relaxing time in the sun, or reserve a cabana for a bit of shade! When the belly starts to growl, White Water serves up as big a variety of eats, meats, sweets, and treats as any other attractions in Branson! Hot and cold sandwiches, hot dogs, corn dogs, pizza, nachos, ice cream, funnel cake, fruit, chicken, and a nice selection of salads; all this and lots more can be found at Island Delights, Surf’s Up Snacks, Big Island Marketplace, High Tide Hannah’s Island Cafe, and Dominos. 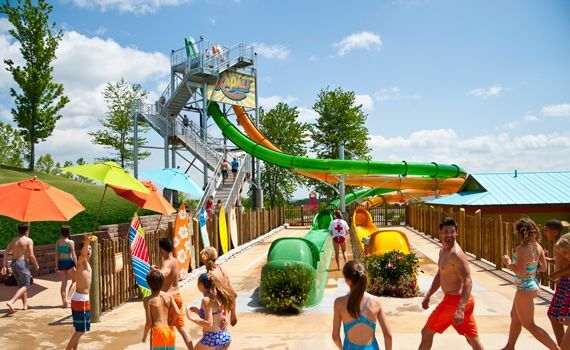 You’ll find so many ways to enjoy getting wet in Branson; the lakes, swimming pools, and indoor water parks abound, but nothing compares to the phenomenal fun in store for you, the family, and your best buddies at the fabulous White Water theme park! 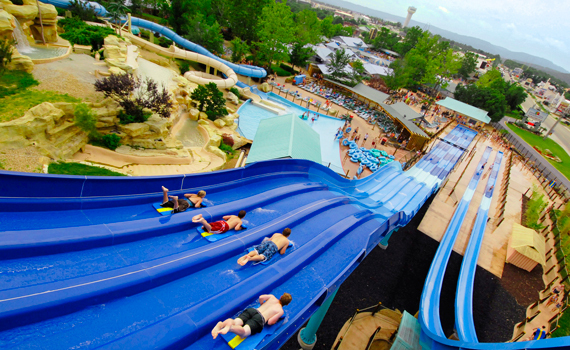 Find out more about all the attractions in Branson with Branson.com. 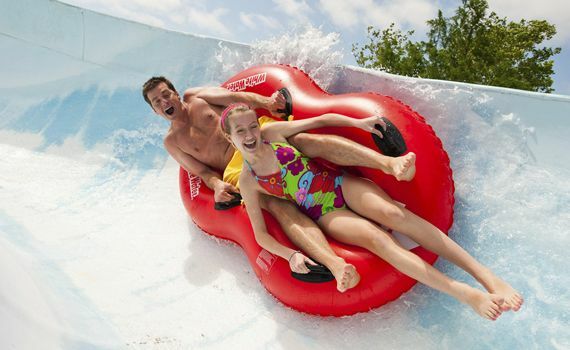 White Water is open from May 25 through September 2 in 2019. Make sure you visit during Night Water, available on these dates: every Friday & Saturday in July, August 2, 3, 9 and 10. 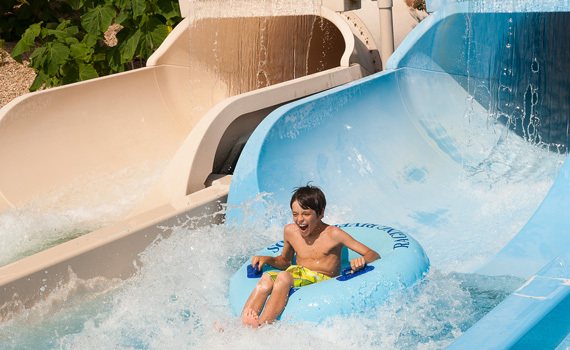 The water fun doesn’t end until 10pm when it’s Night Water at White Water! Enjoy two full days at the park. The second day must be used within two operating days of your first day visit. 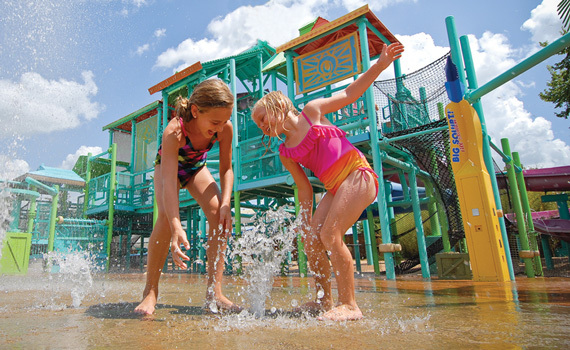 Splash 'n' Play ticket, valid for 3 days at Silver Dollar City, White Water, or any combination of the two. Must be used within 5 days of first use. *Please note Silver Dollar City's schedule.